OPAL Translation is proud to offer a one of Australia’s most loved Gold Coast translation services to local residents and businesses as well as tourists visiting the Gold Coast. 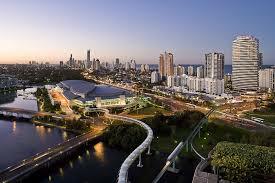 Every year we help hundreds of people on the Gold Coast with their translation needs. After working with the Gold Coast community on many translation projects and collaborating on a variety of exciting joint ventures, we can proudly say that we are the number 1 translation provide to the Gold Coast community. We translate a variety of documents in all languages, all NAATI accredited. Whether you need a translator on the Gold Coast for Chinese, Arabic, German, French, Japanese or Italian, or any other language for that matter, we can help you. We translate all document types including driver’s licences and birth and death certificates. We also translate more technical documents such as legal contracts, medical documents and engineering manuals. Do you provide a NAATI accredited Gold Coast Translation service? All our our translations are completed by NAATI accredited translators, so yes, we do! Gold Coast translation services, certified by NAATI are one of our many strengths. Most translations can be completed within 2-3 working days but this depends on the length of the documents and the availability of our translators. We do also offer an express translation option – enquire with one of our Gold Coast translation experts for details. If you you are a business or government organisation on the Gold Coast and need other types of documents translated such as legal documents, marketing material or brochures, simply attach your documents on our enquiry form and we will gladly provide you with a quote for the translation. The city’s name was given by real estate magnates. 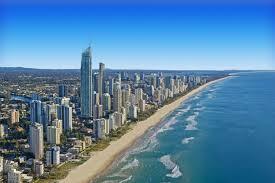 Gold Coast is the 6th largest city in the country of Australia with 590,000 residents, 5000 sq km of land and 70 km of pristine coastline. Annually, the city receives more than 13 million visitors and 12,500 new residents making Gold Coast one of Australia’s fastest growing cities. Gold Coast is listed as a World Heritage site because of its 100,000 ha of natural reserves. You will find Australians, Africans, Aborigines, Americans, Europeans, Latinos and Asians in the city which made it a home to the most diverse vegetation, ethinicity and culture in Australia. What are you waiting for? Simply complete the translation quote form and send us a copy of your document (photo or scanned) and receive a firm quote in just 15 minutes for free! That’s right. Aside from offering affordable translation services, we also provide free quotes for your documents.